Nintendo and Google are celebrating the European launch of the upcoming videogame title The Legend of Zelda Twilight Princess by introducing Link to Google Maps. 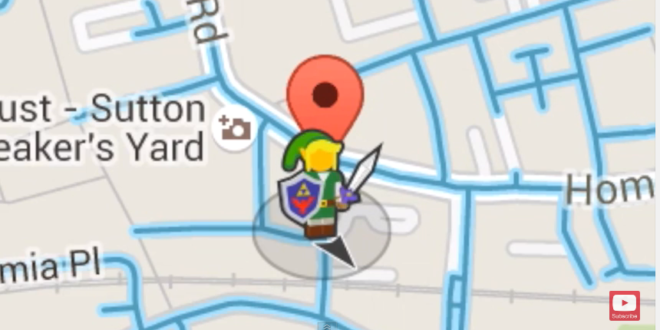 Usually yellow or orange, the Google Maps Pegman has been replaced with the hero character of the Legend of Zelda franchise, Link. The Legend of Zelda: Twilight Princess HD launches today on the Wii U in Europe and North America, before launching to the Japanese market on March 10th. The tunic wearing, sword wielding character will be featured on Google Maps for the next five days, so check him out – who knows, you may just discover one or two hidden dungeons.